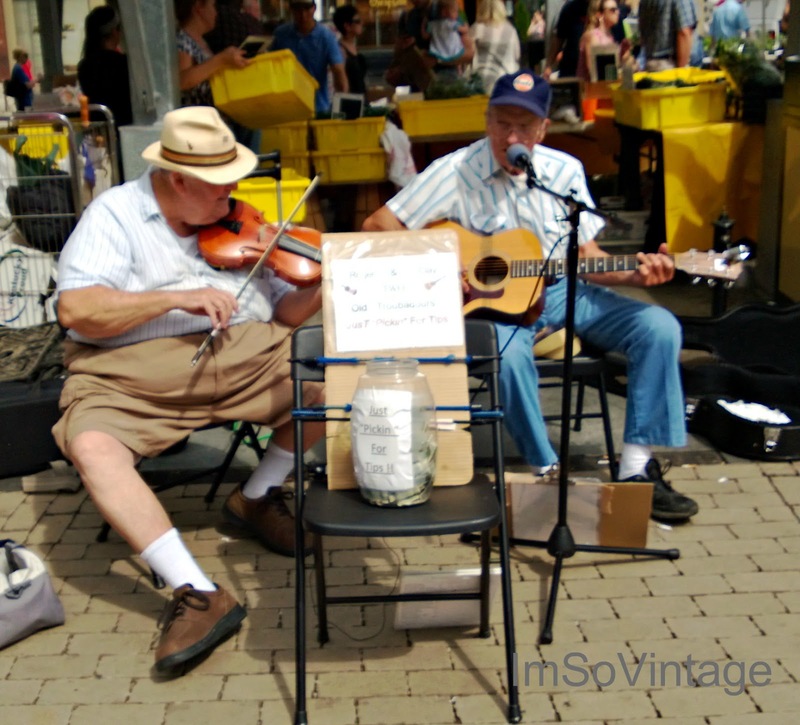 These two good ole boys, just pickin for tips, were the perfect start to a morning at the farmer's market. It was one of those wonderful early June days. The sun was shining, the temps were in the low 80s, and there was a nice breeze to keep it from being too hot. 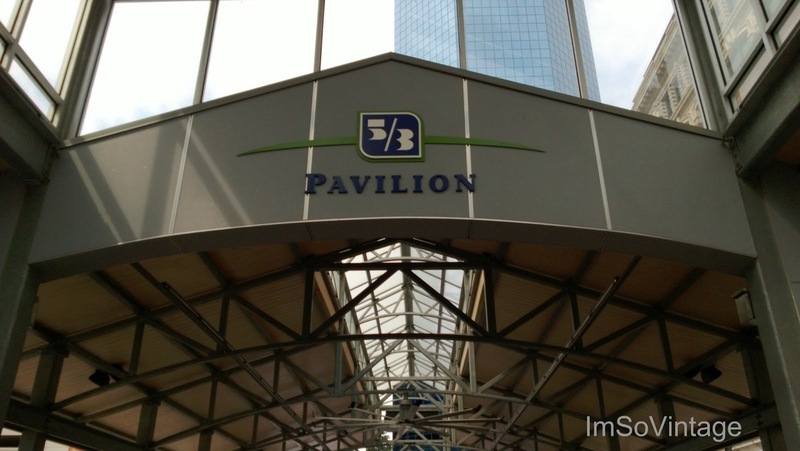 The outdoor pavilion downtown is the perfect spot. I'm old enough to remember when a street called Cheapside ran through here. Wow, I think everyone else in town had the same idea for their morning as I did. Hey, save some for me. 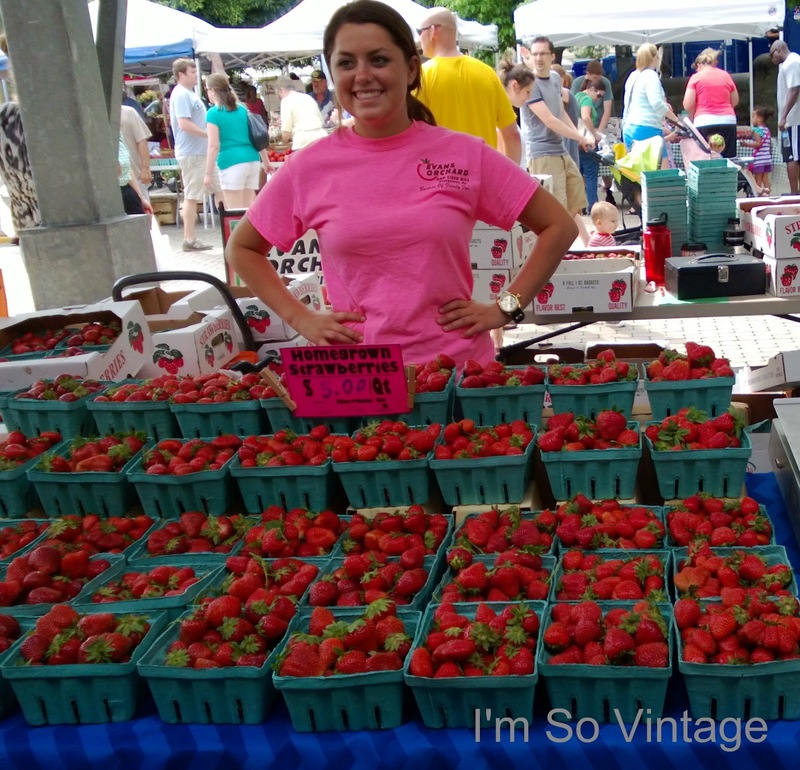 The vendors were ready with everything from fresh picked strawberries. and I am one happy girl. Now, I don't know what you are having for breakfast this morning, but one of those peaches and some of those strawberries definitely have my name on them. I'm with you! I had a southern peach with my breakfast this morning! I love your new banner...so fresh and pretty! Have a wonderful day my friend! 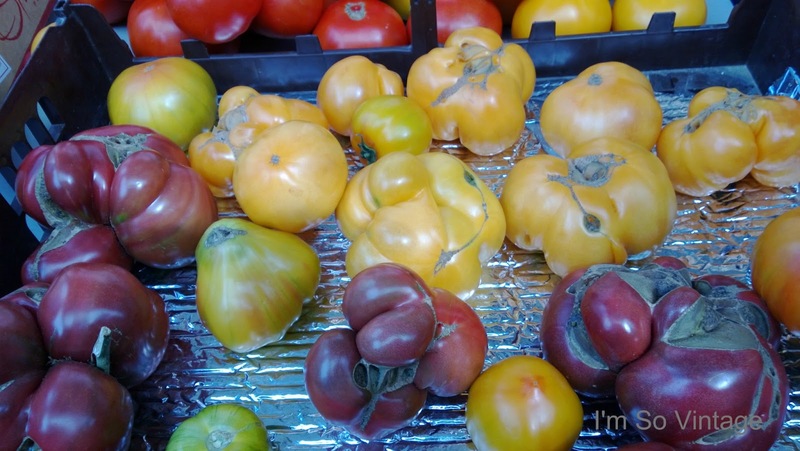 That's the great thing about summer....all the farm stands coming back to life! 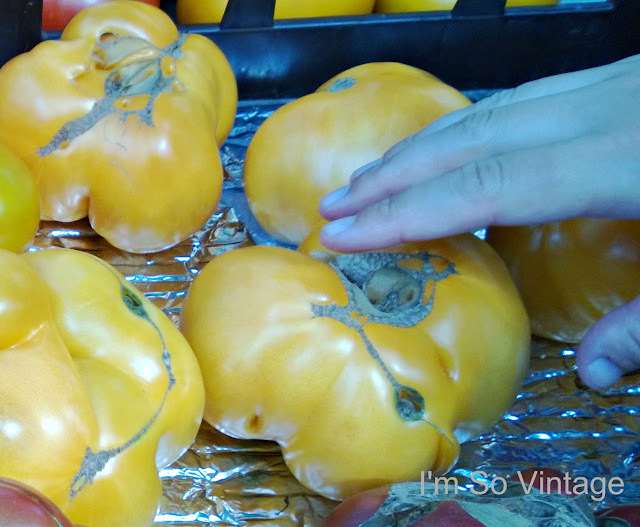 There is nothing better than farm fresh fruits and vegetables. Your breakfast sounds good! Looks like fun-- and yummy too! A farmers market is pretty awesome! Great way to get fresh veggies! Love the new header! Very Spring/Summer! Your farmers market is great. Yum with all the fresh stuff. I love the fresh fruits and veggies in the summer when they come from the farmers markets. Much better taste than store bought. What a fabulous farmer's market! Love those peppers too! 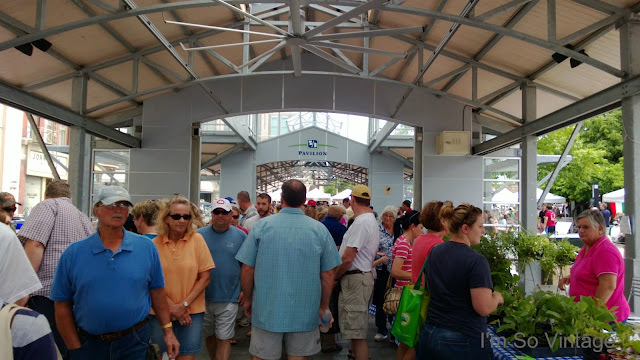 Looks like a great farmers market! The strawberries look sooooo good! Those tomatoes!!!!! It all looks so good! 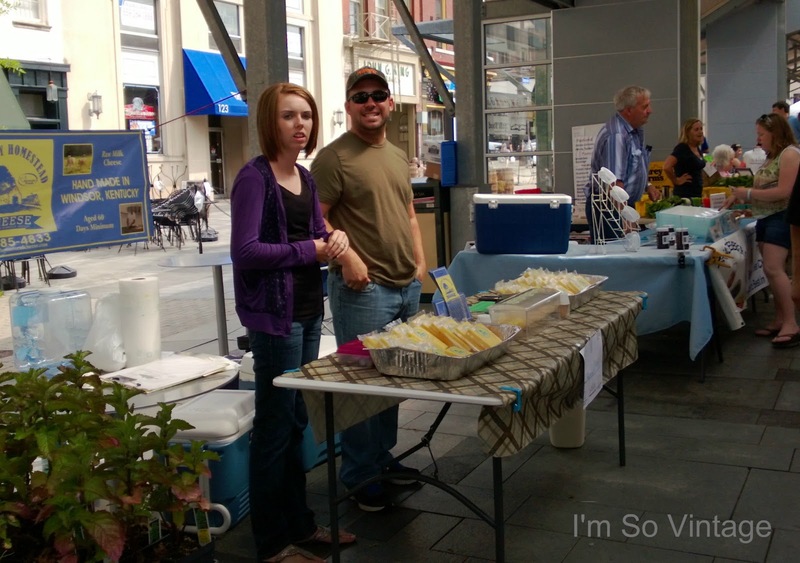 A far cry from our small town farmers market. What a fun day you had Laura. Thanks for the tour! Yum! Looks like a delicious shopping event! 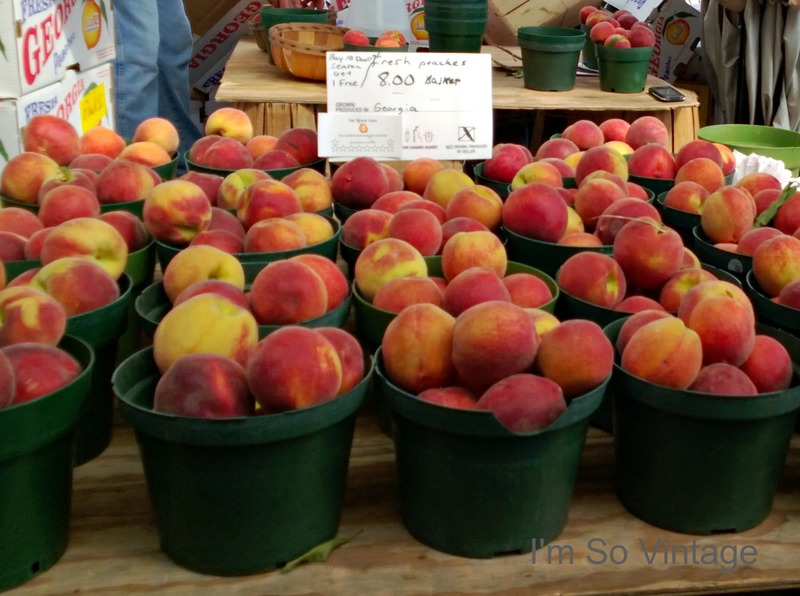 I like your new banner -- and LOVE those strawberries and peaches!! Fun, I love everything...bring on the farmers markets.